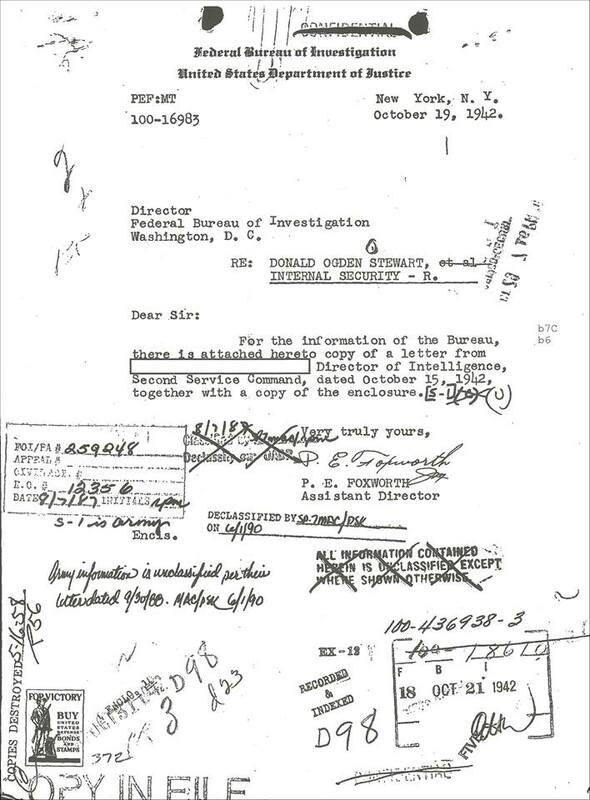 On This Date October 19, 1942: The FBI file on Donald Ogden Stewart is more than 1,000 pages. I conducted a Freedom of Information request several years ago to get it all. The government kept tabs on him for 30 years. I have some of it in the new book. Of all the Algonquin Round Table members, Stewart paid the biggest price for his political beliefs and convictions.